We are manufacturer of AAC Autoclave. We design and manufacture our autoclaves specifically to meet your processing and operational specifications. Autoclaves are ideal for all applications requiring, routine total destruction of all living micro-organisms. 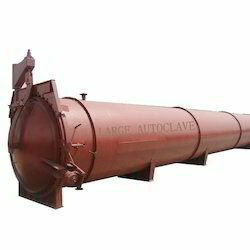 AAC Block Autoclave is a kind of large-scale steam tools which is the key equipment in the production of aerated concrete and autoclaved block. It can be used to steam sand-lime brick, fly ash brick, slag brick, aerated concrete block, cement pile and other cement products. Our AAC Autoclave is a horizontal cylindrical device made of steel. The quality of the AAC Autoclave is good, and its performance is reliable. 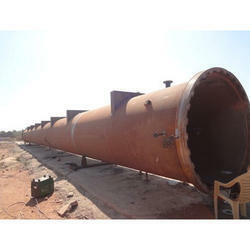 AAC Autoclave is the pressure vessel and key equipment in the production of aerated concrete and autoclaved block. It is applicable for curing the cut body or brick under high temperature and high pressure. The working medium is saturated water vapor. Looking for AAC Autoclave ?